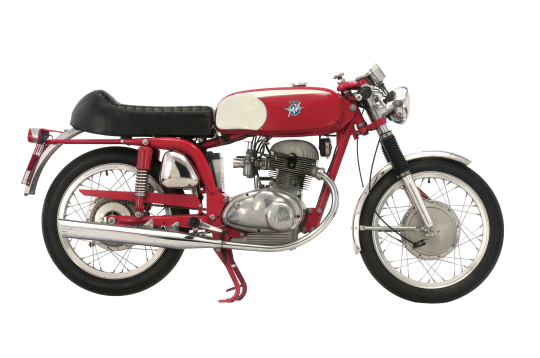 Derived from the 250B the 350B Sport debuted in November 1969 at the Milan Motorcycleshow, and was well recived by enthusiasts. For the first time, a twin cilinder, medium displacement MV combined a sporty riding position with high perfromance that satisfied even the die-hard high speed fans. Its 4-stroke alloy twin cilinder engine wab rated at 28 HP, giving the 350B a top speed of 155 Km/h. a five-speed gearbox was used. But the speed wasn’t the only thing going for this mid siezed bike; it was an agile machine that could run with bigger motorcycles.